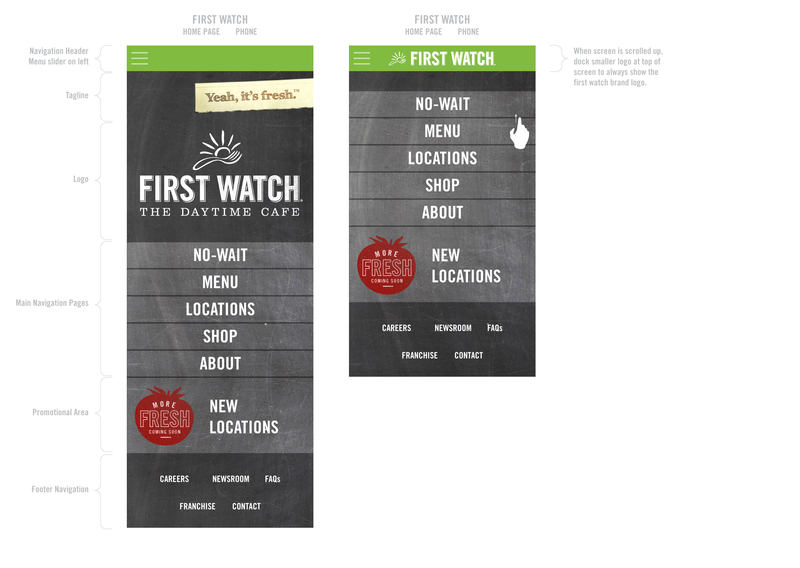 Tasked with creating a responsive web solution for First Watch eatery. 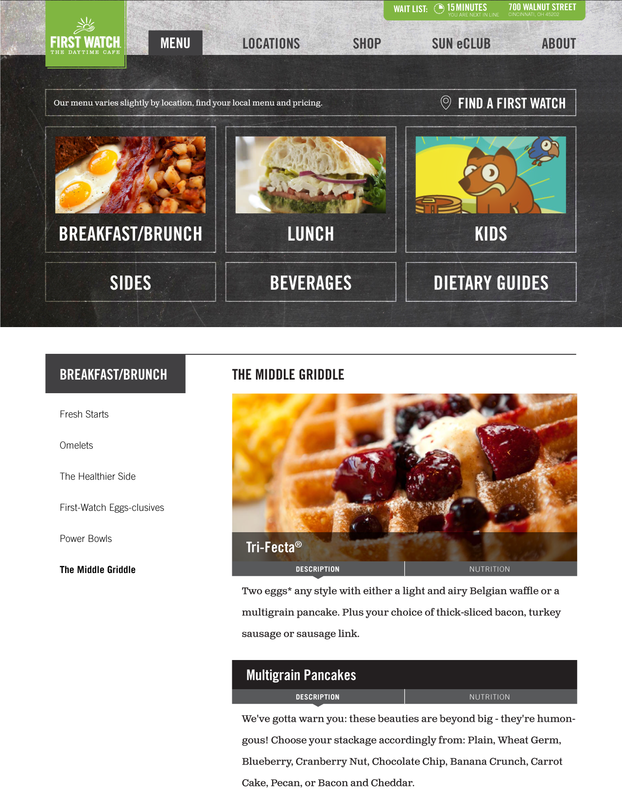 Utilizing a rebranding effort to effectively communicate a fresh new look for their food and help the users navigate an overly confusing website. 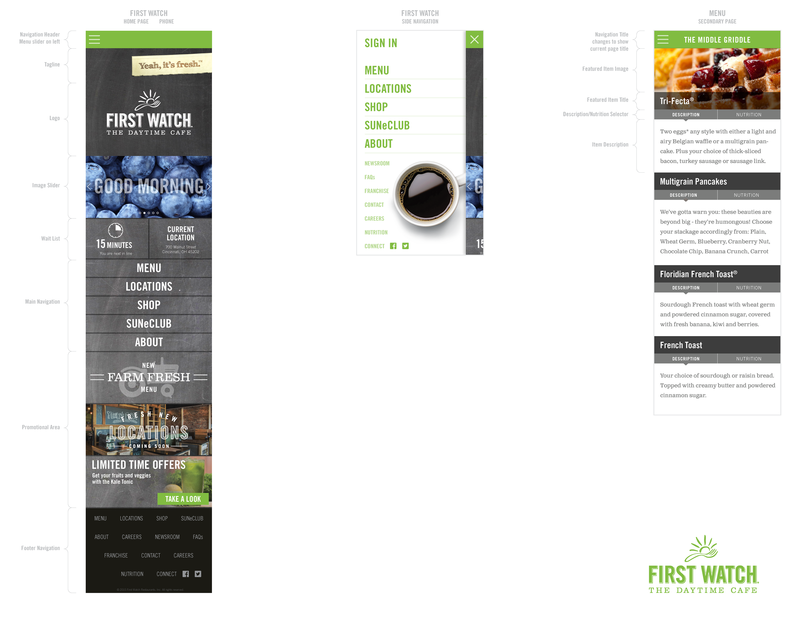 Used both UI & UX skills to make this design simplistic by focusing on typography, images, and clean lines to convey their message. 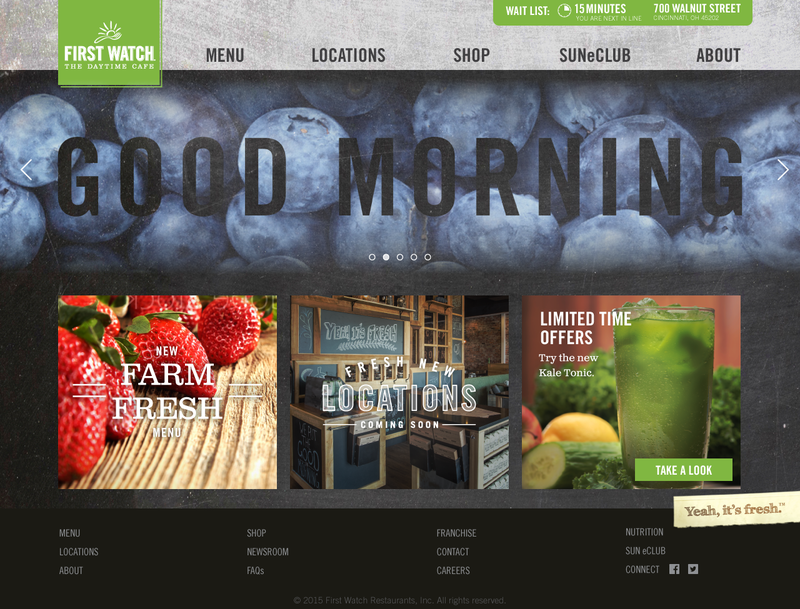 Needed to create a web solution for first watch who was re-branding during the process of site creation. New updated logo and textures had to be included as well as new functionality for adding customers to a wait list. 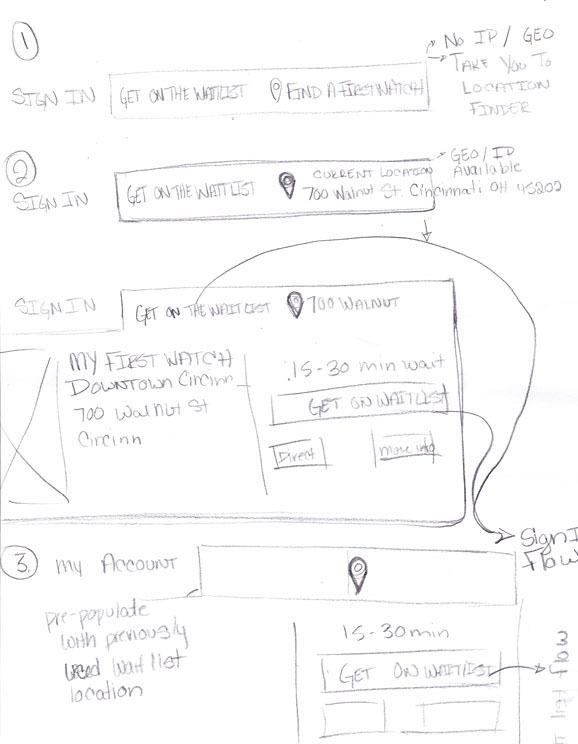 Preliminary sketches for desktop site.